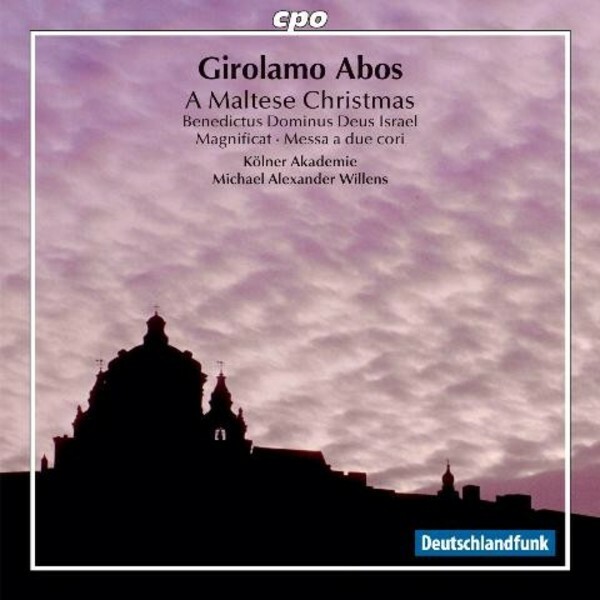 Girolamo Abos is a Maltese composer whose works “have not been heard for centuries” (Tabona). The works on this disc, 'Magnificat', 'Benedictus Dominus Deus Israel', and 'Messa a due cori', will allow listeners to immerse themselves in Abos’ melodic, elegant and spirited works. The soprano Maïlys de Villoutreys and bass Mauro Borgioni only make the experience more rewarding.